Those of you who have been following our series on the highest summits on each of the seven continents will realise we have now blogged on South America, North America, Antarctica, Europe, Africa and Asia – six continents which means there should only be one left – Australasia. Here we have a dilemma for there are those who consider the summit should be the continental shelf of Oceania which includes Australia and New Guinea and then there are those who consider it should be on the political continent of Australia. You therefore have two choices – you can climb either Puncak Jaya – also known as the Carstensz Pyramid, which is on New Guinea in the Indonesian province of Papua and at 4,892 metres, 16,050 feet is certainly a lot higher than Kosciuszko which is in Australia and at 2,228 metres, 7,310 feet, is the smaller option. Not an easy mountain to summit – both from the issue of actually climbing it – some believe of the seven summits this is the greatest challenge and it is held to have the highest technical rating – but also from the issue of red tape. It is not the purpose of this blog to enter into the realms of politics but let us just say there are ongoing discussions on independence between the indigenous people of Papua and the Indonesians who rule the province. These occasionally spill over into violence or kidnappings, the consequence of which is for the Indonesian army to shut the place down. So even if you have succeeded in getting a permit to climb the mountain you would find that it was worth zip. 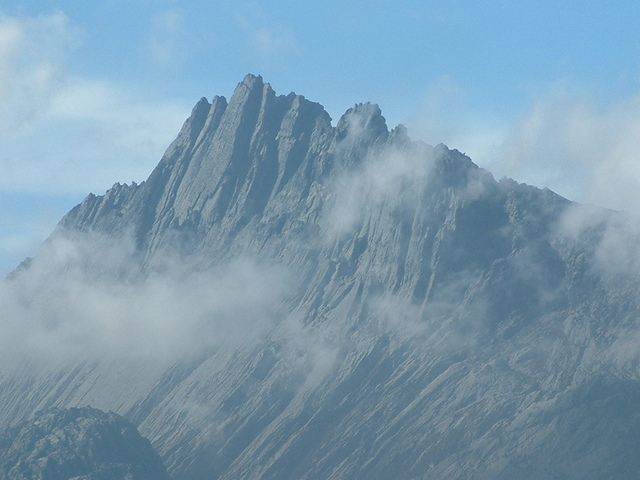 Puncak Jayo/Carstensz Pyramid is a steep granite wall with sharp good climbable rock. Only a few hundred people have climbed Carstensz due to the political instability and the fact that it is hidden in dense jungle and be prepared to climb in snow, rain or sunshine with your gloves being torn by the sharp rock. The expedition will last from start to finish up to 3 weeks and will cost in the region of $25,000. You need several permits from different places (ministries, army, police etc) to travel to the island in general and climbing the mountain specifically. Permits are very hard to get, best is to team up with an organised trip as it will cost you months, even years to organise it yourself and even then the permits may not be valid when you arrive. Puncak Jayo can be climbed all year round as it is very close to the equator. It does therefore rain more often than not and in a bad storm you might feel you are in a car wash. There are also frequent snow storms on the summit ridge. This could change quite radically so you must be aware of this potential. You may not be allowed to use helicopter transport to the mountain and if this is the case a 5 day trek through the jungle is required. You are warned! In the video below from Carstenszpyramid you can see you are going to a very different place and you will get a very good idea of the technical challenge you will be faced with whilst on the mountain. Thank you for sharing the video of Carstensz Pyramid Expedition. Carstensz Pyramid is a very beautiful destination of Indonesia. The rock-climbing difficulty on Carstensz is up to 5.8 for short steps, but most of the climbing is scrambling. Just climbed to the summit yesterday. The mountain is limestone, not granite. The rock has a high friction coefficient which is good for the wet conditions.